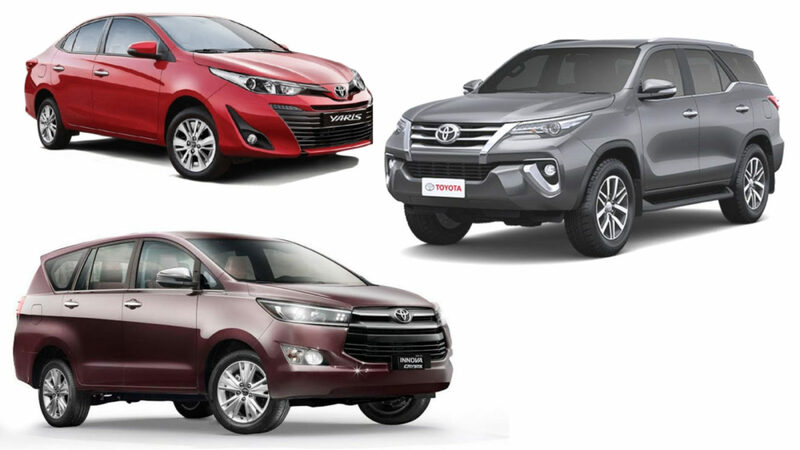 Toyota is going to increase the price of Innova Crysta and Fortuner from January by four per cent. According to the company, the reason for the price hike is increasing manufacturing cost which forced the Japanese manufacturer to take this decision. The depreciation of rupee is also a concern. The Innova Crysta is the best selling MPV in the country and the company has revised the features list earlier this year, which increased price by Rs. 30,000. The MPV now comes with speed sensitive door lock, impact sensing door unlock, rear parking sensors, height adjustment for driver seat and engine immobiliser with siren as standard on all variants. Toyota is offering the Innova Crysta in four variants – GX, VX, ZX and Touring Sport. Among them, the entry-level GX variant gets lots of new features like touchscreen infotainment system, DVD player, Bluetooth, USB, Aux-in, electric folding exterior mirrors, steering mounted audio controls and more. The MPV is available with two diesel and one petrol engine options. The 2.7 L four-cylinder petrol engine puts out 164 bhp of power at 5,200 rpm and 245 Nm of torque at 4,000 rpm. The entry-level 2.4 L diesel engine produces 150 PS at 3,400 rpm and 343 Nm between 1,400 rpm – 2,800 rpm. The powerful 2.8 L engine produces 174 PS at 3,400 rpm and 360 Nm between 1,200 rpm-3,400 rpm. These engines are mated to a 5-speed manual and 6 speed automatic. 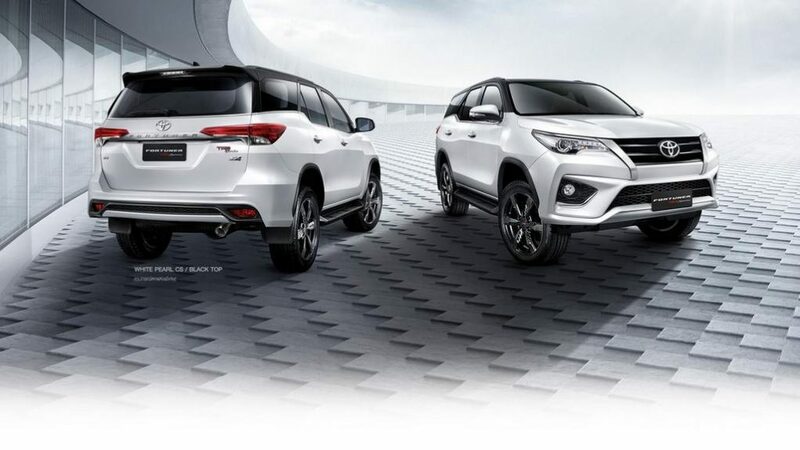 The Fortuner is available with a petrol and diesel engine as the petrol engine is the same one available in Innova Crysta. Even though the 2.8 L diesel engine is shared with the MPV, the company has increased torque output to 450 Nm. The SUV gets a 6-speed manual and automatic transmission options with four-wheel drive system also. Like Innova, the Fortuner also received some new features earlier this year like brake assist, cruise control, traction control, hill assist control, vehicle stability control, rear fog lamps, emergency brake signal, Auto-dimming inside rearview mirror, both driver and passenger seat get electric adjustments, glass break sensor, ultrasonic sensors and immobilizer with siren.